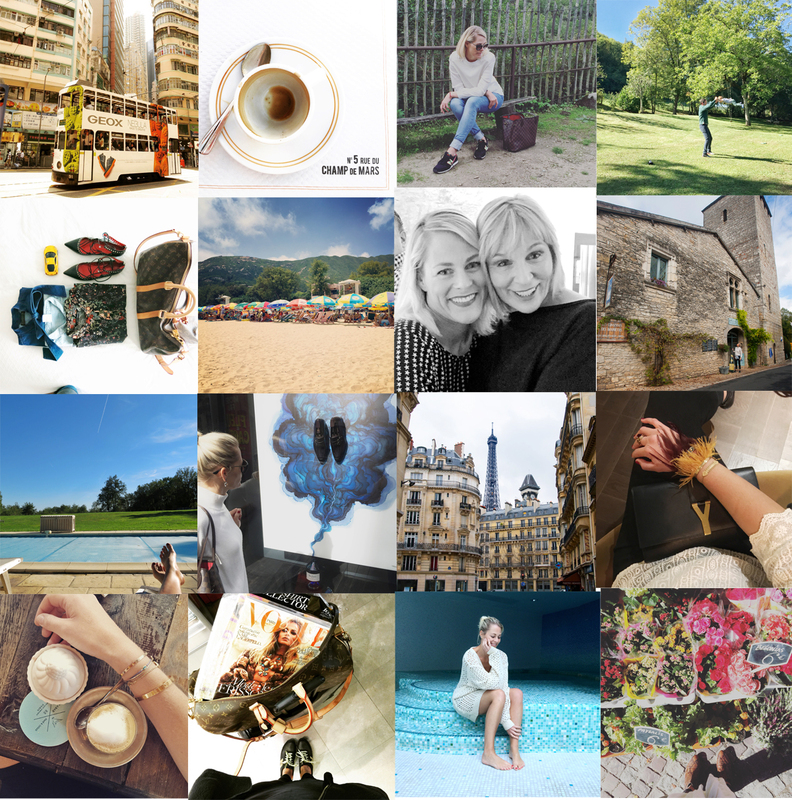 September has been such a busy and exciting month that my camera roll was more bloated than usual! Watching Autumn start on two continents, Hong Kong and Europe and experiencing their total differences, exploring more of my new home city – tram rides, beach trips and indoor evening swims. Packing for a two week trip to France to celebrate my gorgeous Mama’s 30×2 birthday in the serene french countryside, catching up with family and friends and even enjoying the brilliant blue, sunny skies poolside! Sightseeing old medieval villages and ruins and long days watching my boys play in the green lush garden of an exquisitely restored mill. Then heading north to Paris on the train (4 hours to enjoy my favourite magazines, bliss!) Visiting our favourite cafés in our old neighbourhood, shopping the best Parisian streets and spending evenings with friends (while wearing my new feather bangles and lace shirt). It’s been an amazing month. Stay updated and follow me on Instagram and Facebook, I’d love to hear from you so drop me a note too! PLUS! Find me on Periscope @labellecrush.